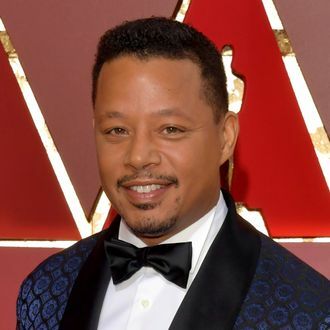 Terrence Howard went on an epic Tweetstorm Saturday morning about the “double standard” society has toward “abusive women” who “feel that they can assault a man and not reap where they have sowed.” In the past, Howard has been accused of assaulting ex-wives Lori McCommas and Michelle Ghent; Ghent recently dropped a 2015 lawsuit against the actor for “assault, intentional infliction of emotional distress, negligent infliction of emotional distress as well as defamation.” Howard was arrested in 2001 “on suspicion of assaulting his wife, Lori McCommas,” At the time, the two were estranged. I've never been abusive to anyone in my entire life. I have loved and paid the price for love. I am the same loving being since day 1! When I say that I've made mistakes, it is not regarding violence but judgement. Trusting the wrong people! This double standard that has permitted abusive women to feel that they can assault a man and not reap where they have sowed is wrong! The cyber space abuse and bullying that has gone unanswered has come to an end! You come for me, I come for you. Eye for an eye! Having an altercation is very different than abuse... and for the record I never punched her in the face get the facts straight.